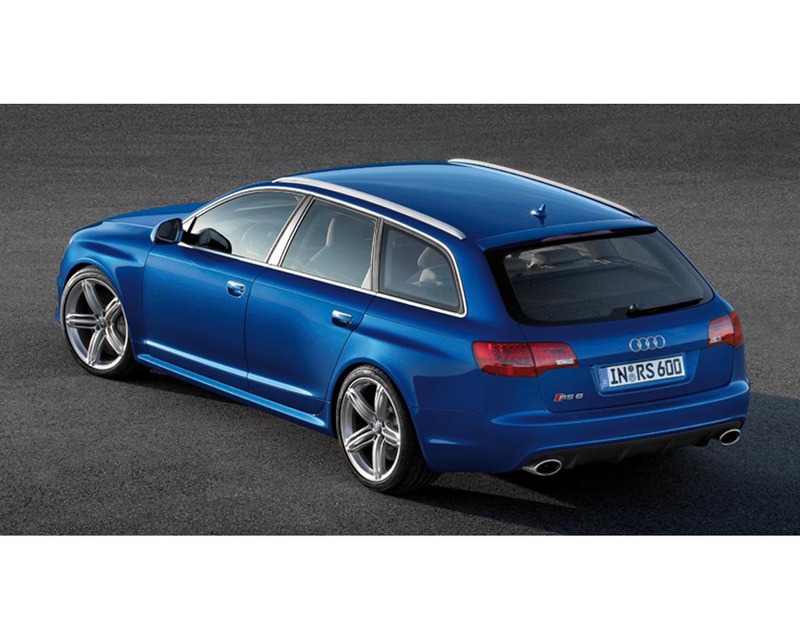 The Audi RS6 introduced at the 2007 IAA Frankfort Motor Show redefines high performance in the business class. 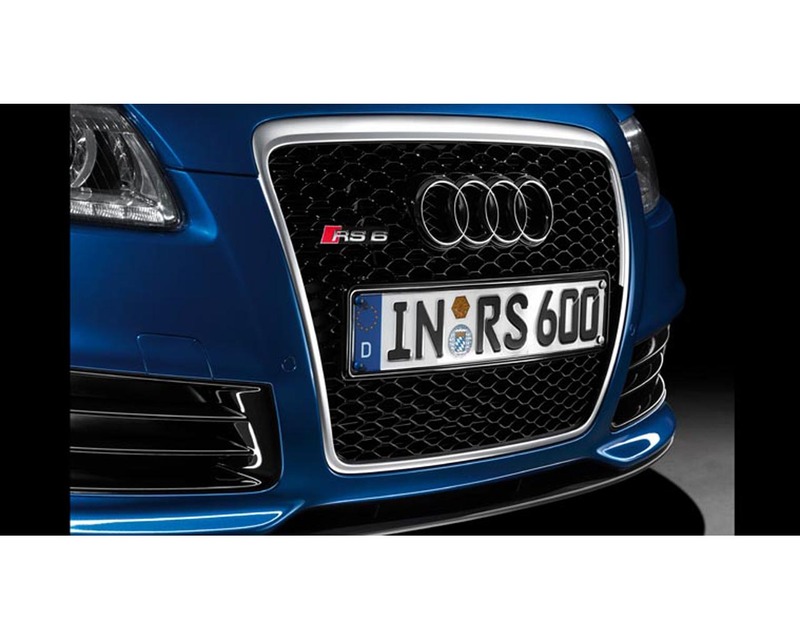 The Audi RS6 is a station wagon or a break not a super sport car. With its 580 hp (426 kW), it is the most powerful model in the current Audi range and - with the exception of pure racing cars like the Le Mans winning Audi R10 TDI - the most potent Audi of all times. The claimed performances quotes standing start to 100 km/h in 4,6 seconds while 200 km/h is reached in 14,9 seconds. Top speed is a governed 250 km/h. With its permanent four wheel drive, the Audi RS6 weight 2.025 kg, which leaves 3,5 kg to be handled by one horsepower. The engine is a V10 with twin turbochargers is compact with an overall length of 670 mm and very light at 278 kg. It is equipped with FSI direct injection with pressure at 120 bars, allowing a compression ratio of 10,5/1. This engine is claimed with a standard consumption of 13,9 litres for 100 km. Transmission is a four wheel drive setting with six speed tiptronic. the suspension include Dynamic Ride Control where the shock absorbers are connected diagonally with each other via two oil lines and two control valves. The standard 19 inches wheels are equipped with steel disks that have been designed for maximum load. 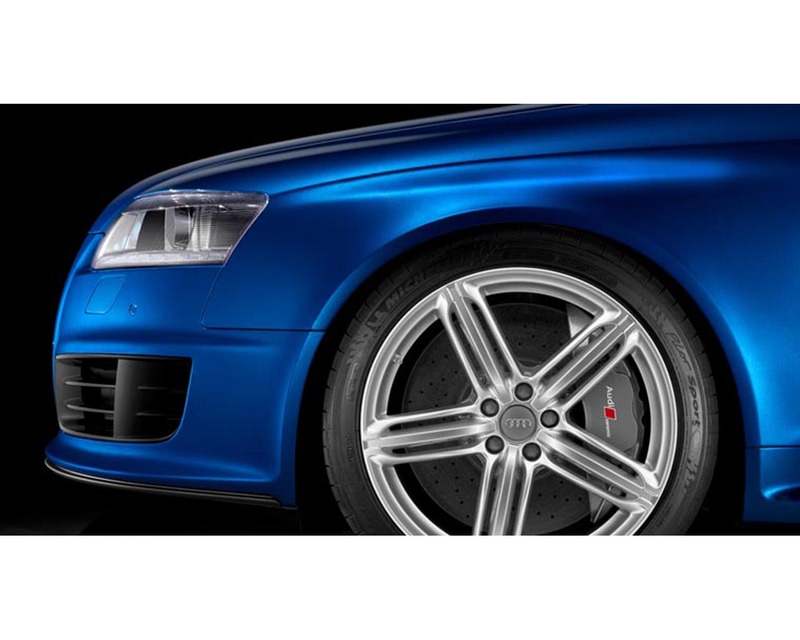 Optionally, in conjunction with 20 inches wheel, a ceramic brake system is available. The styling is an Audi Avant break with prominent wheel arches .